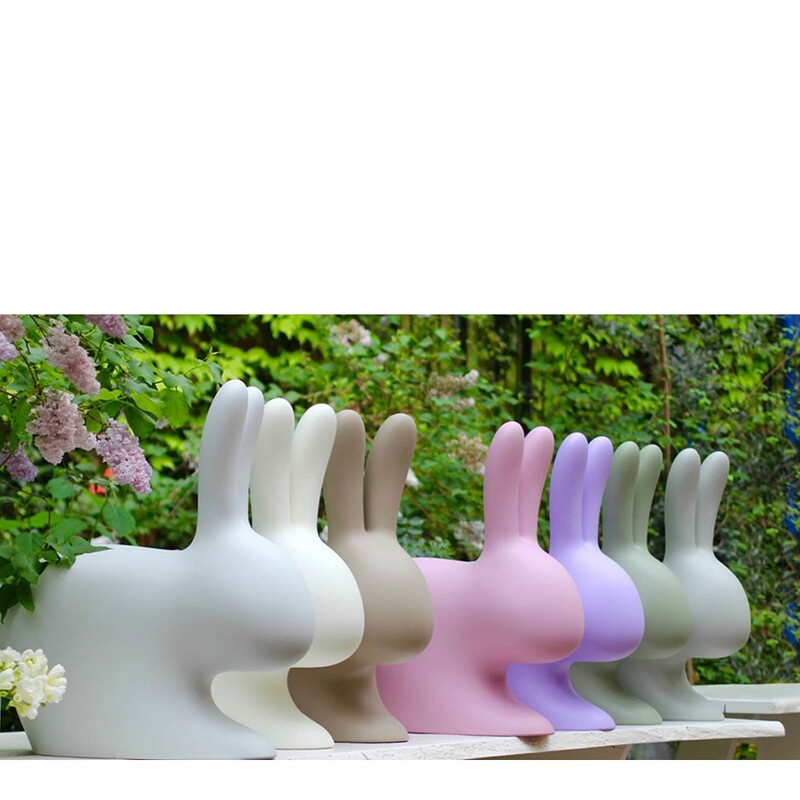 The “Rabbit Chair” is the last creation that came out from Stefano Giovannoni’s magic hat, that becomes a family of products with a strong communicative media power. 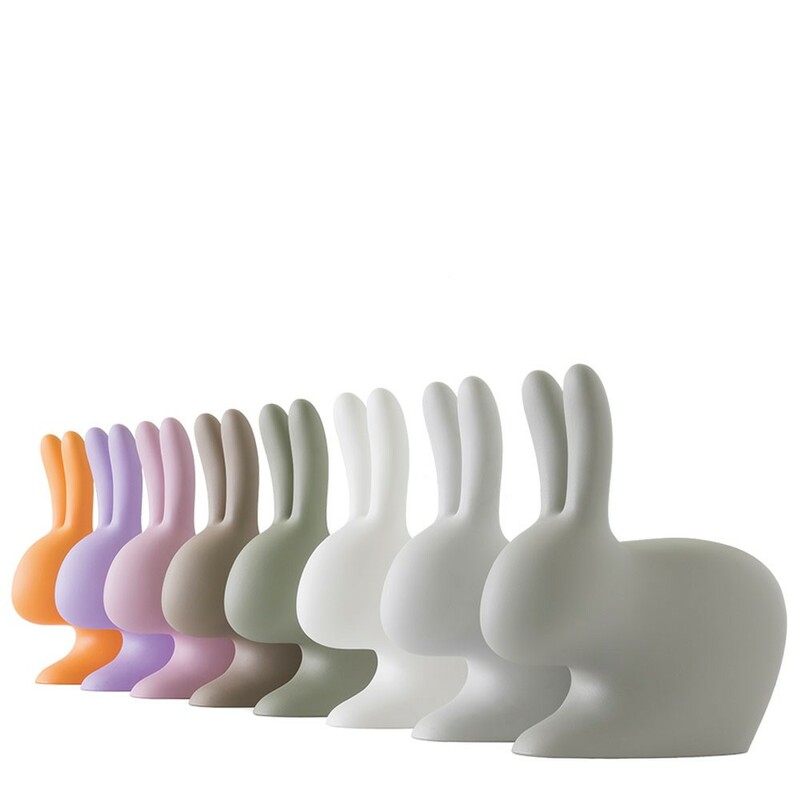 The idea of the rabbit comes from the connection between its silhouette and the silhouette of a chair, where the rabbit’s ears become the setback of the chair. 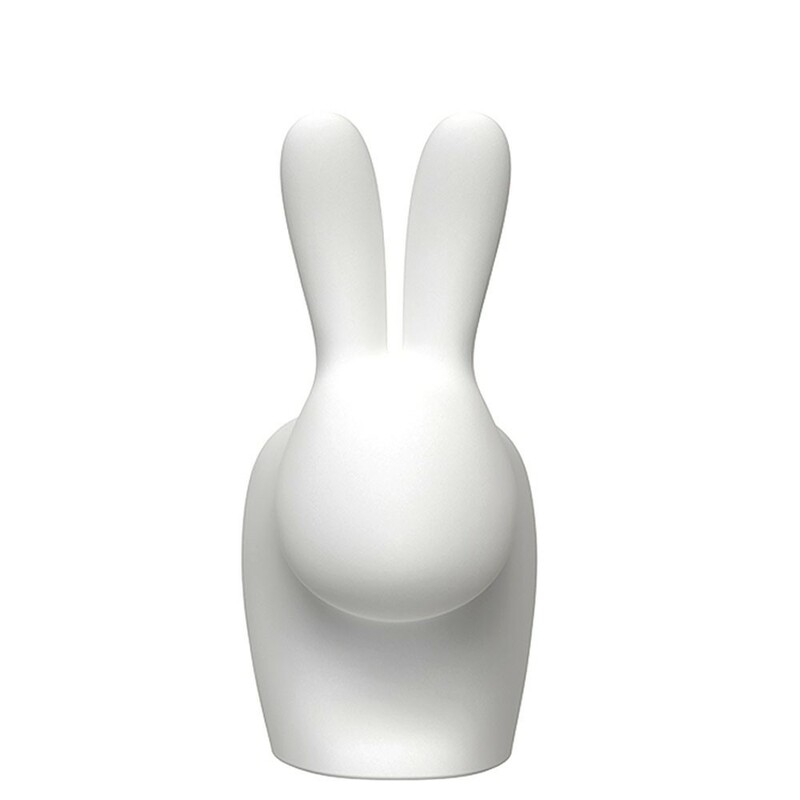 It has a double variation, for adults and for kids, and there is also a third version, illuminated, that can be a lamp. 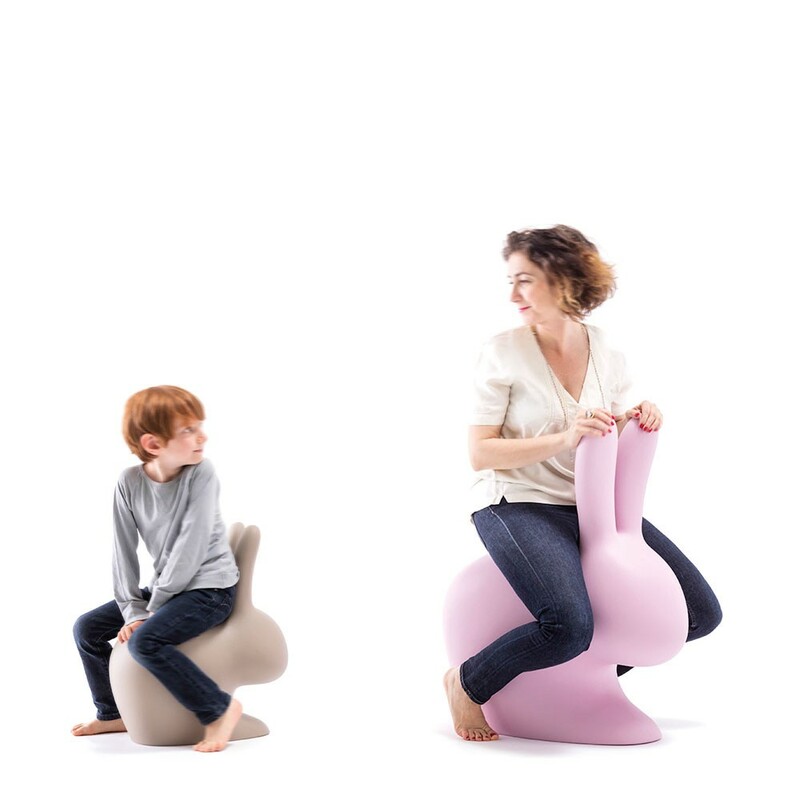 Young and olds can sit down and lean the back against rabbit’s ears or on the opposite side, riding it and leaning the arms on its ears. 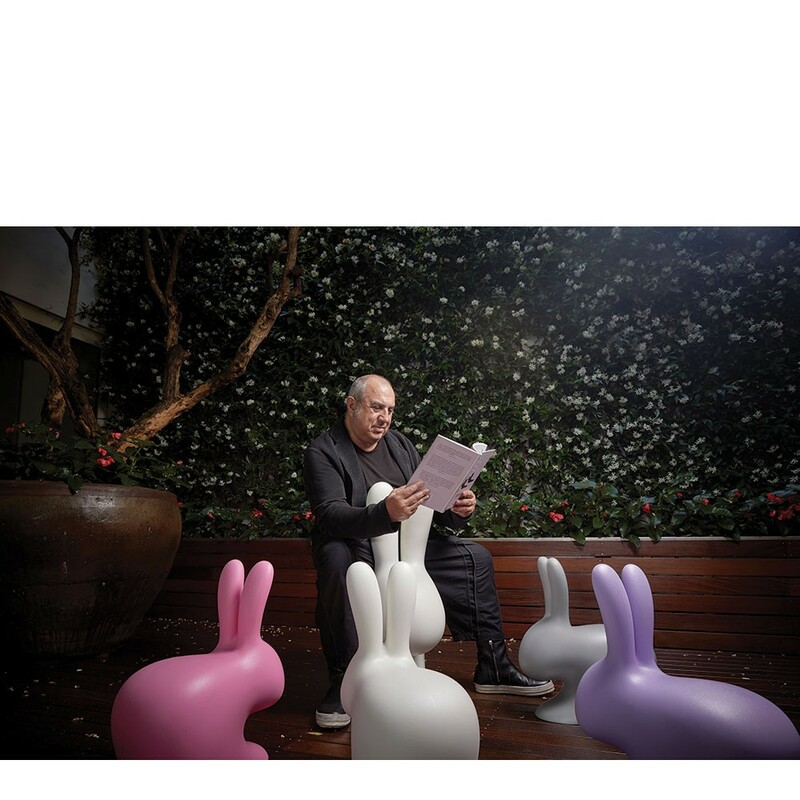 The rabbit is a gentle animal, lovable and tender. In Western and Eastern culture it symbolizes love and fertility, it is a sweet and auspicious object that brings good fortune and good wishes.